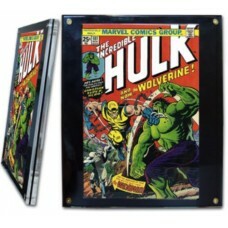 Acid Free Polystyrene and Acrylic Comic Book Display Holders. 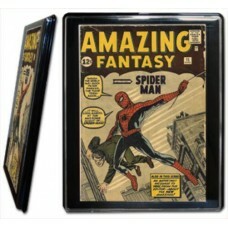 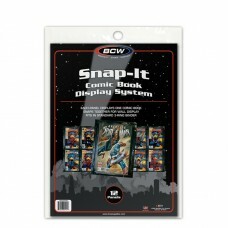 Comic Showcases are 2-piece snap together holders that are available in Current or Silver Comic Book Sizes. 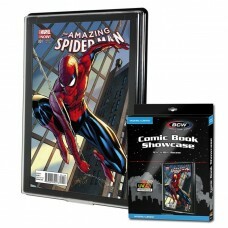 Acrylic Comic Screwdown holders are essentially an 8x10 Photo Acrylic Display with a Black insert that holds the comic in place once the entire display is screwed together. 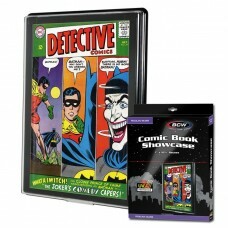 They are available in Current, Silver, or Golden Age Comic Book size.